A driver who led police on a chase through Phoenix neighborhoods was taken into custody late Wednesday night — after trip through the drive-thru. Phoenix police said officers attempted to stop Josh Adkins just before 10:30 p.m. on Wednesday night. Officers knew Adkins had an outstanding warrant for his arrest. Phoenix police was able to use a their helicopter to maintain a visual on him. 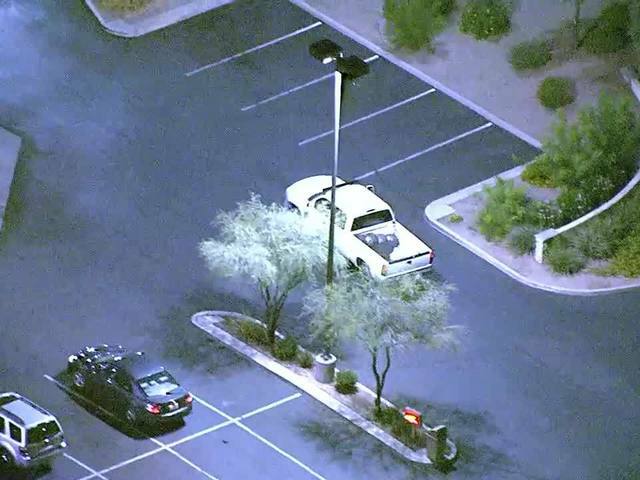 During the chase, Adkins made a stop at an In-N-Out restaurant in Chandler, near Ray Road and Priest Drive. 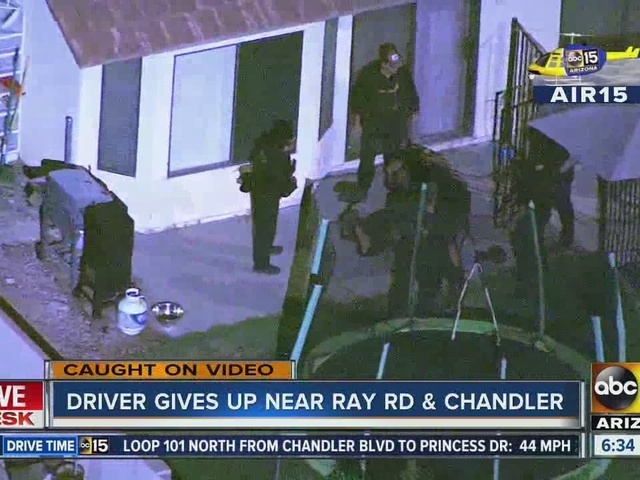 After stopping for food, the vehicle ended up at a home in Ahwatukee, where the driver ran out of the car and into a backyard between Ray Road and Chandler Boulevard. Video shows the man with his hands up. The man got on the ground and police were able to take him into custody. Adkins was arrested and booked for his outstanding warrant and for charges related to the chase.